Martin Skrtel has put pen to paper on a new contract with Liverpool. Skrtel has one year remaining on his contract but his Anfield future was thrown into doubt when he branded their contract offer as unacceptable. Inter Milan were one of several club linked with the 30-year-old, but last month his agent confirmed he would commit to Liverpool on his return from a post-season holiday. He has now signed a new contract that will see him remain at Anfield for the foreseeable future. 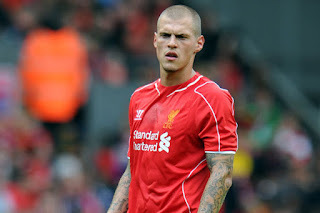 Skrtel s Liverpool’s most experienced central defender, making 48 appearances for the club last season, and he is the latest player after Daniel Sturridge, Philippe Coutinho, Jordan Henderson and Jordon Ibe to commit his future to the club.